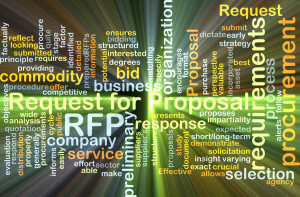 Requests for Proposals (RFPs) are a standard method of soliciting professional services for a reason – they can save your organization money. They can be efficient mechanisms for the buyer to find a qualified service provider at a competitive price. However, when procuring professional geospatial services, it is rarely advisable to use this process to find the cheapest priced services. This is a sad story repeated over and over again where “lowest” price was the goal but in the end the quality, timeliness, and the utility of the deliverables was compromised. RFPs are useful methods of procuring professional services, but can fail an organization and public safety when achieving the lowest price is goal. If project scope and specifications are incomplete or inaccurate, then the intended use of the professional services will be jeopardized. RFPs need to accurately or completely describe the project scope or specifications. If they fail to do this, then the intended use of the professional services will be jeopardized. Those purchasing those services will lose value. It is vitally important that before specifications are written, the end users (stakeholders) convene and agree on an “intended use” of the services. Then, and only then, can the specifications be clearly written and ensure the provider delivers what is really needed by those end users. It is, unfortunately, far too common that RFPs are poorly written. Specifications are often misconstrued, undefined, or poorly defined. This results with the buyer having to compare inaccurate and inconsistent bids. They then must choose what they “think” is a capable service provider for mushy services inconsistently priced. 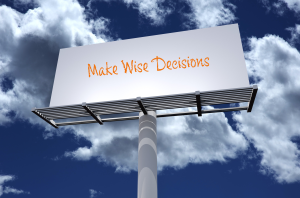 This often leads to the selection of a provider who lacks experience, does not provide the expected quality service, or who contrives a cost/service package in their own best interest and to the detriment of the buyer and stakeholders. A description of the responsibilities of the buyer and provider will help to avoid confusion and make the project run smoothly. If the buyer is likely to provide the contractor with existing data (like ground control or an existing DTM) this should be noted. In turn, list if the contractor must perform certain tasks or meet certain deadlines. You should request a list of all subcontractors the submitting firm expects to use. This list should include the subcontractor’s name and address, location (U.S. or foreign “off-shore” companies), what services they will deliver, and how they will be used by the submitting firm. All geospatial projects relate to a location on earth. If the buyer can provide the contractor with a shape file defining important project boundaries, it is extremely helpful in accurately designing a project and estimating costs. These are also important contractual elements that help both parties objectively determine if the deliverables properly cover the specified geographical area(s). 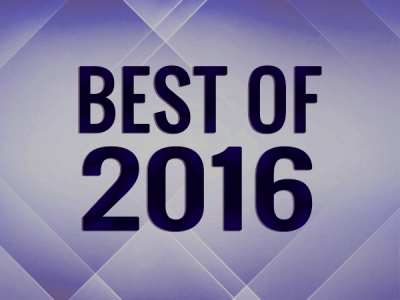 It’s 2016! Stop asking for 15 paper copies of the proposal! What a waste of carbon! Go digital. This detailed “List of Deliverables” should be included near the end of the “Scope of Services.” It clarifies exactly what the contractor is expected to deliver. List all of the features you want represented in deliverables (such as hydro-flattening, breaklines, road centerlines, road edges, top/bottom of river banks, etc.). This list should be as specific as possible. The professional services provider can provide assistance in helping you decide which features are important and what each will cost. Without a definitive list, one bidder may price the job assuming the feature is or is not included, the other bidder may do the opposite, and the buyer doesn’t know the difference. Professional service providers may suggest alternate ways of providing the requested items. Or the buyer may request feedback about optional items. Therefore, buyers should provide a section in which these optional items are discussed. Great companies are often great innovators and this is an excellent way to discover new, better ways to map. A standardized price sheet guarantees the contractors will provide prices for the items requested consistent with the needs of the buyer and that each bidder’s pricing is comparable. For example, instead of using a single line item like “Topographic Mapping,” it may be important that multiple line items be specified such as “Ground Control,” “Lidar” and “1-foot Contours,” to understand how a large item is priced and because different stakeholders may need different items. It is also important not to group dissimilar items into a single line item because this makes it difficult or impossible for the buyer to discern the real cost of each item. It is always advisable the pricing sheet request a flat fee or a ‘price per unit’ for each item. These prices can then easily be compared between different vendors. The buyer is advised to require the contractor and all subcontractors to carry adequate insurance coverage for worker’s compensation, general liability, etc. Other insurance protection may be required depending on the project. These instruments are occasionally included with RFPs and require all bidders to include a bond (or check) with their proposal equal to an established portion of the proposal amount. A bid bond is intended to keep frivolous bidders out of the process, guarantee the owner that the vendor will honor its proposal, and that the vendor will sign all contract documents if awarded the contract. Unfortunately, these add cost to the procurement and are generally not needed when procuring professional services from reputable companies. These bonds are sometimes included with lowest-proposal procurements. The Performance Bond secures the contractor’s promise to perform the contract in accordance with its terms and conditions at the agreed upon price and within the time allowed. For many smaller projects, bonds are an unnecessary expense ultimately borne by the buyer and increases the overall project cost. When procuring services for very large projects these instruments may be warranted but are generally a waste of money on smaller projects when procuring professional services. This section outlines how the buyer will be invoiced by the contractor, when the invoice will be paid, and any other terms. Are these fair for both parties? It is still far too common that multiple paper copies of proposals are required. It’s 2016! Stop it already. Go digital. What a waste of carbon! Digital documents are transferred easily, can be read on any device, and can be copied as needed – reducing resources and costs. It is, unfortunately, far too common that RFPs are poorly written. By writing more complete and accurate solicitations, buyers give themselves a clearer picture of which provider can provide the highest quality deliverables with the best value. Then, they can compare providers’ offers and be confident they have all the information needed to make the best decision regarding their (& the public’s) investment. When procuring professional services, it is often difficult to know what specifications are needed or how to define them clearly. Reach out to professional service providers like Aerial Services and ask for help. Editor’s note: You can read another (humorous) article about this subject written by Mike Tully on Professional Surveyor Magazine.